BARRICK Gold has said it is forming a joint venture with Saudi Arabian Mining Co (Ma’aden) to run its Jabal Sayid copper asset in the kingdom, a move that could see the long-delayed mine finally begin production in late 2015, reports Reuters. Ma’aden, which is controlled by the Saudi state, has agreed to buy the 50 per cent interest in the project, located some 120 km (75 miles) southeast of Madinah, for $210 million. The deal is a boost for Barrick as it lets the world’s largest gold miner finally get back on track a project that has been mired in regulatory and licensing woes. It also fits well with the Saudi state’s efforts to create a stronger industrial base in the kingdom, beyond oil refining and export. Toronto-based Barrick acquired the Jabal Sayid asset via its C$7.3-billion ($6.8-billion) purchase of copper miner Equinox in 2011. Most of the construction at the asset had been complete for a while, but output was delayed over permit problems and legacy issues over mining licences. Barrick said the tie-up with Ma’aden, which is expected to close in the fourth quarter of 2014, will move the project along and get the mine into production in late 2015. “This joint venture will enable the Jabal Sayid project to move forward with the benefit of Ma’aden’s extensive experience in the Saudi Arabian mining sector, combined with Barrick’s technical and operating expertise,” chief executive Jamie Sokalsky said in a statement. When fully operational, the asset is expected to produce 100 million to 130 million pounds of copper in concentrate annually over the first five years. A source familiar with discussions between Ma’aden and Barrick said talks to form an alliance have run since last year. The source, who was not authorised to publicly discuss the details, said the partnership could be a first step toward broader ventures between both parties. The miner made a net profit of SR 370.8 million ($98.9 million) in the three months to June 30, compared with SR40.98 million in the year-earlier period, it said in a bourse filing. The Barrick partnership is Ma’aden’s latest move to diversify. 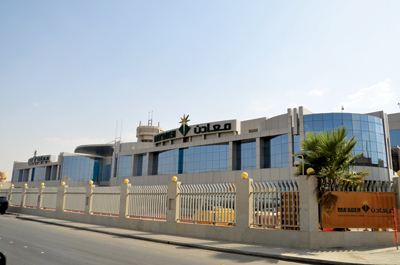 Ma’aden, formed in the late 1990s to develop Saudi Arabia’s mineral resources, was wholly owned by the government before half its stock was floated on the Saudi Stock Exchange in 2008. The company originally focused on mining gold, but has been forging alliances with large North American firms, and recently signed a $5-billion financing deal for a huge $7.5-billion phosphate project in the kingdom. The phosphate project in the northern city of Waad Al Shimal is a joint venture between Ma’aden, Saudi Basic Industries Corp and North American fertiliser maker Mosaic Co.
Ma’aden has signed a $5 billion financing deal with commercial banks and a state-owned investment fund to back the phosphate project. A total of 16 local and international commercial banks, including Al Rajhi Bank, Bank of Tokyo-Mitsubishi and BNP Paribas, as well as three export credit agencies and the Public Investment Fund (PIF) signed the financing agreement on June 30, the bourse filing said. The loan agreement will last for 16.5 years and repayments will be made on a semi-annual basis from Dec. 31, 2018. No split between the commercial bank financing and that from the PIF was given. However, Ma’aden said in April it had secured a $2 billion loan. 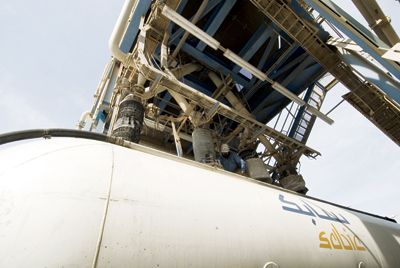 The scheme will have a production capacity of 16 million tonnes per year of phosphate concentrate, sulphuric acid and phosphoric acid as well as plants to produce calcium monophosphate and calcium diphosphate, Ma’aden said previously, with phosphate production expected to start in late 2016. Ma’aden and US aluminum maker Alcoa have also partnered and run a massive $10.8-billion aluminum smelter in the kingdom.